Standard Alkalines: All standard alkaline batteries from each of the manufacturers operated for a similar period of time. However, the Varta brand was considerably cheaper than the offerings from Energizer and Duracell. 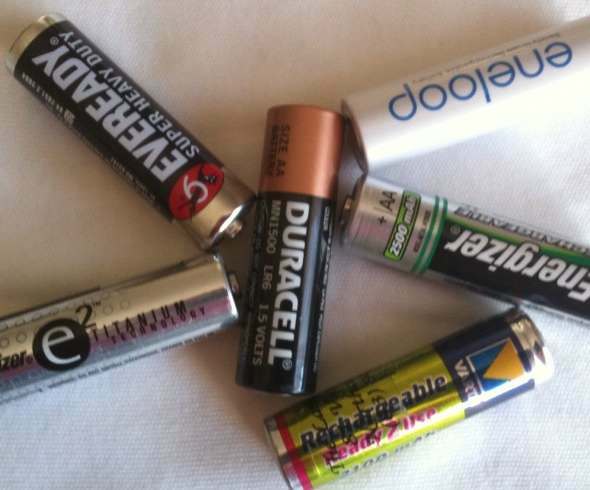 Lithiums: The Energizer lithium batteries performed the best but were also the most expensive of the non-rechargeable batteries. NiMH rechargeables. The Energizer rechargeable batteries performed reasonably but the long life versions from Sanyo and Varta performed better – even though their stated capacity is lower. This is likely due to the the higher operating voltage of these batteries – the GPS units will shut down once a lower limit voltage is reached. The other good point to note about the long life rechargeables is that they maintain a capacity of around 85% after 12 months on the shelf. Standard rechargeables will lose most of their capacity within 6 months. Update 18 Nov 09: Long life rechargeables added to the review. Stay tuned for more results in the coming weeks when using these batteries at low temperatures.